Purpose – Happiness at work (HAW) is receiving much attention in the literature, as Happiness at work seems to have a positive effect on organisational performance, such as in increase of productivity, lower turnover of employees and less customer complaints. There is however no research into the relation between Happiness at work and the attractiveness of an organisation. It stands to reason that people who are happier at work are also happier about their organisation and express this to their family and friends. Having an attractive organisation is becoming increasingly important as the world is currently experiencing an economic boom creating shortages of qualified personnel. The paper aims to discuss this issue. Design/methodology/approach – A possible way of creating an attractive organisation is by transforming the workplace into a high performing organisation (HPO). The study described in this paper is looking in this respect at three hypotheses: H1. Higher HAW will increase the attractiveness of the organisation; H2. Becoming an HPO will increase HAW; and H3. Becoming an HPO will increase the attractiveness of the organisation. A large-scale survey of Dutch managers and employees was undertaken in which the respondents were asked their opinion of the high-performance level and attractiveness of their organisation, and their happiness with their job and organisation. Findings – The study results show that the three hypotheses are basically confirmed. 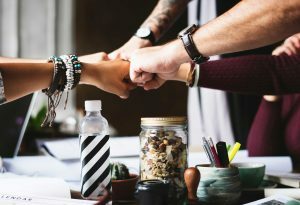 Increasing the happiness of work of employees, in general, raises the feeling of how attractive the organisation is to the employees themselves and to the external world. However, this positive feeling is mainly true for the work itself but not so much for how committed employees feel to the organisation. Practical implications – Organisations now have knowledge at their disposal about ways to promote happiness in their employees, thus raising their attractiveness to current and future employees. Originality/value – The study results indicate that senior management has to make more effort to raise the quality level of the organisation, preferably towards the high performance level, in order for employees to start feeling more committed to their organisation. This is because the study results show that transforming an organisation into a high-performance entity increases happiness of employees at work significantly, especially about their work and in a lesser degree with the commitment they feel towards the organisation itself. This result has not been found before, so this research provides managers for the first time with a validated way to help their staff to become happier and more productive. People generally spend a large part of their lives in the workplace and, for many, the work they do forms a big part of their identity (Gavin and Mason, 2004; Meyers, 2007). It is no wonder then that “happiness at work” (HAW) has received a lot of attention in the literature. Much of this literature not only addresses the definition and measurement of Happiness at work, but also the effects of Happiness at work on organisational results showing, in general, a positive correlation, whereby organisational results are measured in increase of productivity, lower turnover of employees and less customer complaints. There is, however, no research into the relation between Happiness at work and the attractiveness of an organisation. It stands to reason that people who are happier at work are also happier about their organisation and express this to their family and friends, thus raising the attractiveness of their organisation to the outside world. Having an attractive organisation is becoming increasingly important as the world is experiencing an economic boom again, after years of recession and decline. Already shortages can be seen in various labour markets, such as the healthcare sector (Drevs et al., 2015), meaning that organisations have more trouble attracting high-quality people, thus causing the start of another “war for talent” (Ewerlin, 2013; Lis, 2012; Sommer et al., 2017). In addition, it becomes increasingly clear that many employees are not engaged or even actively disengaged in their jobs (Achor, 2010; Clifton, 2017; De Neve and Ward, 2017). Thus, it is in the best interest of organisations to be attractive to both potential employees and current employees. H1. Higher HAW will increase the attractiveness of the organisation. H2. Becoming a high-performing organisation (HPO) will increase HAW. H3. Becoming an HPO will increase the attractiveness of the organisation. This study focusses strictly on how happy people are at their workplace with their work and their organisation it does not go into concepts as subjective well-being or positive psychology (Baptiste, 2008; Cameron et al., 2003). The remainder of this paper is structured as follows. In the next section, the HAW literature is reviewed, with an emphasis on the definition of HAW, the contribution of HAW to organisational outcomes and how it can be influenced. Then the research approach is described, paying specific attention to the measurements used in the research. This is followed by the research results and an analysis thereof. The paper ends with the conclusion, limitations to the study and opportunities for further research. 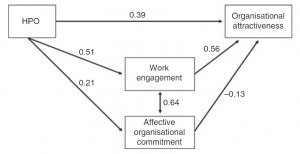 According to Fisher (2010), Happiness at work is an overarching construct which consists of the traits “job satisfaction” and “organisational commitment”. Job satisfaction is described as “a pleasurable or positive emotional state resulting from an appraisal of one’s job or job experiences” (Locke, 1976, p. 1300). Organisational commitment entails elements as staying with an organisation, identifying with the organisation’s goals and values, and being affectively attached to the organisation (Fisher, 2010). Other traits used are, according to Fisher (2010), job involvement, a state of engagement with one’s job, identifying with one’s work and viewing the job as central to one’s identity and self-esteem (Brown, 1996); engagement, the amount of authentic physical, cognitive and emotional self that individuals devote to their work and the feelings of attentiveness, connection, integration and focus that accompany moments of high engagement (Britt et al., 2007) or “a positive fulfilling workrelated state of mind that is characterised by vigour, dedication and absorption” (Bakker and Demerouti, 2008, p. 209); thriving and vigour (the combination of feelings of vitality and energy with the belief that one is learning, developing and making progress towards self-actualisation (Spreitzer and Sutcliffe, 2007); flow, occurring when one is totally absorbed in using one’s skills to progress on a challenging task (Csikszentmihalyi, 1990); intrinsic motivation, the amount of time voluntarily spent on a task after there is no extrinsic reason to continue; and effect at work, consisting of hedonic tone (pleasure or displeasure) and arousal or activation. 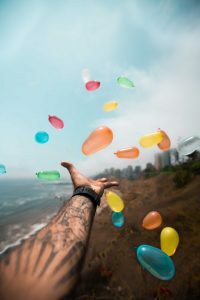 Fisher (2010) also suggests to distinguish three focal points for happy feelings at work, thus defining HAW as having happy feelings towards the work itself, towards the job including contextual features and towards the organisation as a whole. Coetzee et al. (2010) define HAW as mindfully making the best use of the resources individuals have to overcome the challenges they face in the workplace. 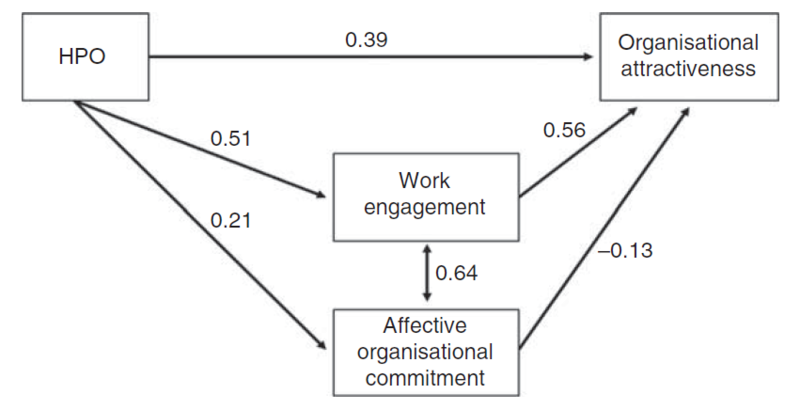 Hellstrom (2014) rather broadly defines HAW as the motivation and satisfaction at work people feel. Bakker and Oerlemans (2016) relate HAW to the concepts of burnout and work engagement and state that engaged employees are better able to satisfy their psychological needs through their work and are therefore happier at their work than burned-out employees. Salas-Vallina and Fernandez (2017) see HAW as an attitudinal broad-based concept that measures employees’ quality of life at work. Pryce-Jones and Lindsay (2014, p.131) define HAW as “a mindset which enables action to maximise performance and achieve potential”. As in this research we are looking for the (causal) relation between HAW and organisational outcomes, we are using the Pryce-Jones and Lindsay (2014) definition. Looking at the literature on the relation between Happiness at work and organisational outcomes, we find a plethora of mainly positive relations. Lyubomirsky et al. (2005), based on their meta-analysis of the happiness literature, reported that happy workers have higher levels of productivity, produce higher sales, perform better in leadership positions, receive higher performance ratings, are less likely to take sick days or to quit and – if they are CEOs – more likely to lead high-performance teams. Based on a literature review, Suojanen (2012) concluded that Happiness at work increases the quality of work, creates better results, improves decision-making and communication, causes people to have stronger immune systems, therefore having fewer sick leaves and absences, and induces employees to be work more efficiently and provide more fulfilling services to clients. Pryce-Jones and Lindsay (2014) found, in long-term research among 32,000 respondents into Happiness at work, that happy employees basically are high-performing employees as they take one tenth the sick-leave of their least happy colleagues, are six times more energised, intend to stay twice as long in their organisations and are twice as productive. Witters and Agrawal (2015), using data from the Gallup-Healthways Well-Being Index, reported that happy employees are 30 per cent more likely not to miss any workdays because of poor health in any given month, miss 70 per cent fewer workdays because of poor health over the course of a year, are 27 per cent more likely to report excellent performance in their own job at work and being rated “excellent” by their organisation, 45 per cent more likely to report high levels of adaptability in the presence of change, 59 per cent less likely to look for a job with a different organisation in the next 12 months and 18 per cent less likely to change employers in a 12-month period. De Neve and Ward (2017) found, after combining the results from the Gallup World Poll (which has been surveying people in 150 countries since 2006 on amongst others subjective well-being) with the European Social Survey (which monitors changing attitudes and values across Europe) that HAW leads to higher productivity and better organisational performance. Read the complete article from Emerald Insight Journal of Organizational Effectiveness: People and Performance in PDF.